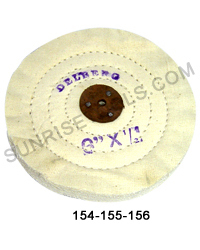 Description :- We manufacture and supply Yellow Cotton Brush of dimension 30x16P, which is widely used in cleaning of jewelry items in a sophisticated manner. Our cotton brush is soft and crafted using high grade cotton. 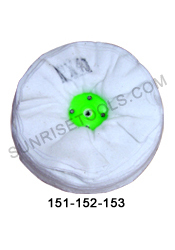 Description :- Made from a variety of material, these brushes is used for grinding, cleaning, polishing, smoothing and finishing ceramic, metal, jade, jewelry, etc. 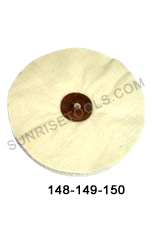 Description :- This buffing and polishing wheel is useful for pre-finishing operations of any metal surface in jewelry designing process. We have a wide range of this wheel.